A new, beautifully packaged edition from the Folger Shakespeare Library puts the best possible version of William Shakespeare’s Much Ado About Nothing into a freshly designed collectible format, featuring wonderful illustrations, additional resources for educators (available as PDFs or in printed versions), and a provocative essay by Barbara A. Mowat. One of Shakespeare’s most frequently performed comedies, Much Ado About Nothing includes two quite different stories of romantic love. Hero and Claudio fall in love almost at first sight, but an outsider, Don John, strikes out at their happiness. Beatrice and Benedick are kept apart by pride and mutual antagonism until others decide to play Cupid. The Folger Library is the nation’s best, most navigable and most respected resource for Shakespeare scholarship and teaching. 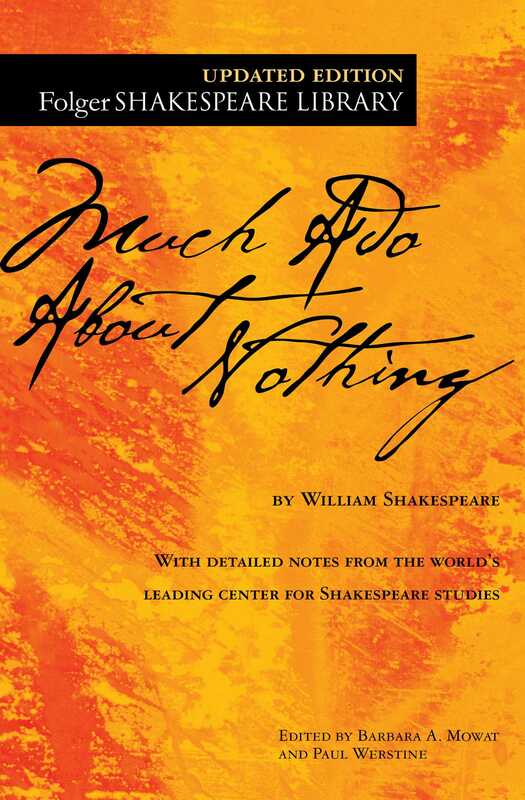 The authoritative edition of Much Ado About Nothing features the side-by-side format favored by both students and teachers, as well as guides to the play’s most famous lines and Shakespearean phrases and language.